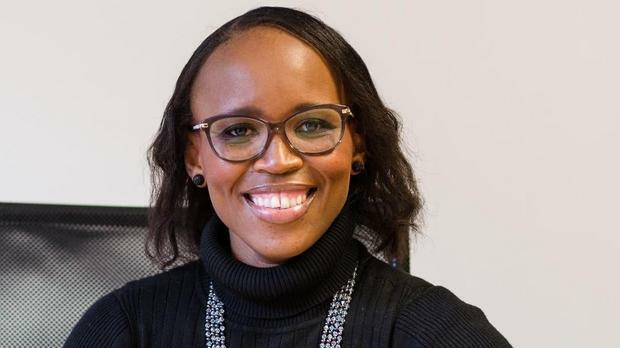 Grace Khoza is the Executive Director for Group Marketing and Corporate Affairs at AfroCentric Group, owners of Medscheme and other health companies. JOHANNESBURG - As the Life Esidimeni saga and enquiry lays bare mental health challenges in our communities, why should employers consider psychiatric illness a workplace issue? It is a reality that stress, depression, generalized anxiety disorder, schizophrenia and bipolar disorder are all examples of mental health disorders which may impact on someone in the workplace. More than 140 mentally ill patients died after they were moved from Life Esidimeni to Gauteng’s non-governmental organisations (NGOs). The NGOs were found to have been neither ready nor equipped to take care of patients with chronic psychiatric illnesses, according to a report by the health ombudsman, Professor Malegapuru Makgoba. Statistics often quoted in the World Health Organisation (WHO) research findings, prove that whether it be higher sickness absence, grievances, employee relations issues, loss of management time, higher sick pay liabilities and health premiums or, ultimately, legal claims and reputational damage, a lack of understanding of such illnesses, and how they impact on an individual in a particular case, can have a detrimental impact in the workplace. According to the WHO, with roughly 30% of the South African population facing a mental disorder in their lifetime; between 76% and 85% of people with severe mental disorders receiving no treatment for their disorder; only 1.2 psychiatrists to every 100 000 people in South Africa, and fewer than 400 psychiatrists practicing in the private health care sector which services nearly 9 million people, this has an obvious impact on the workplace, and places demands on employers to understand and manage issues related to mental health. That is why health and safety legislation imposes a general duty on employers to ensure the health, safety and welfare at work of their employees, including requirements to assess health and safety risks such as mental health related illnesses. So, how should employers best deal with and manage issues around mental health in the workplace? And how does an employee get the care needed while making reasonable compromises with an employer? Employers have a duty of care to their staff so they must deal with any work-related stress and have to be able to show that they are helping them deal with any work-related issues causing stress or anxiety. Psychologists say as with physical disorders, mental disorders take many forms and express themselves at work in many different ways. Certain employees may become withdrawn, or not even come to work. Others can become hostile or act out. Some employees may have trouble remembering. Others, who previously had been well mannered, may say inappropriate things to co-workers or clients, patients, or customers. Outward signs of problems may include a poor relationship with work colleagues, indecisiveness, inability to delegate or manage and a general deterioration in performance. Stress related problems can be caused by a wide variety of factors both inside and outside of the workplace. Organisational pressures that contribute to stress could include bullying and harassment, lack of training, poor and inconsistent management, irregular and long hours, unreasonable deadlines and changes in technology. Experience shows that employers who have a clear policy on addressing mental health problems and are creative in their approach to handling such situations get their employees back to work more quickly. Unfortunately some employers are seriously underestimating the extent of workplace suffering from mental health disorders and often lack effective procedures to identify and manage mental health. Many employers deny they have any workers with such problems. However many employers have developed Employee Assistance Programmes (EAPs) as confidential resources for employees dealing with any personal or professional challenges. However, the EAPs must also include support and services tailored to a manager's distinct needs, including dealing with the emotional needs of employees and workplace mental health issues. It is important to support an environment that encourages employees taking care of their physical and mental health. Research supports the fact that when people receive needed care, they are healthier and more productive -- and employers realise the return on their health care investment. Indeed, with so many people in our workforce needing mental health services at some point, businesses should rethink mental health and view it as we do physical health, education, child care and other support functions that maximize worker productivity. The key is to have an adequate policy that addresses these issues and is supported by senior management who appreciate that pressure should be stimulating and not stressful. This can include offering free health checks, gym membership, relaxation classes, individual counselling and psychotherapy, as well as access to confidential counselling both in relation to work and non-work related problems. Health care providers should also come up with procedures to deal with and manage issues around mental health in the workplace. At Medscheme we have developed a mental health programme aimed at collaboration between general practitioners, specialists, and auxiliary caregivers, and the introduction of a care manager to deliver good quality mental health patient-centered care. The Medscheme Mental Health Programme uses validated symptom score trackers to monitor response to treatment in order to help identify suboptimal treatment plans timeously. As part of the programme, a Medscheme Care Manager communicates regularly with the general practitioner regarding potential new cases and treatment response as measured by validated symptom scores. When treatment targets are not met, the general practitioner is alerted and encouraged to review the current treatment plan, and offered specialist advice from the Medscheme Psychiatrist Decision Support service. In addition, general practitioners are being trained through online and face-to-face initiatives, and have access to standardised care pathways to guide treatment decisions. As one of the largest managed care organisations in South Africa and the custodian of valuable relationships with both patients and health care providers, Medscheme is ideally positioned to be the first to establish this model in the South African private health care industry. Let all employers realise that if sufficient numbers of staff are affected by stress, depression or anxiety the problem can become a serious organisational one, manifesting as absenteeism, reduced productivity, increased staff turnover and customer complaints. More seriously, ongoing stress can result in dangerous consequences such as mental health problems. Therefore it is vital that employers recognise the first signs of anxiety and depression in order to prevent them from becoming more serious and should always encourage employees to seek help as soon as possible. Treating mental illness as something disconnected from the workplace is a mistake because untreated or undertreated mental illness has serious ramifications for the workplace.